Made with JOBMAN’s new, strong and comfortable STAR fabric, with a soft brushed inside, and durable and quick drying properties. Pre-bent knees for optimal fit. Kneepads can be adjusted in two positions. Drawstring in leg ends stops draught. Certified in Hi-Vis class 2 according to EN20471. These trousers also come in a women’s version, 2272. Spacious holster pockets that can be tucked away into the front pockets. Backpockets with reinforced inside. Hammerloop. Extra belt loops in largest sizes. Ruler pocket with knife button. Leg pocket with zip, phone pocket, ID-card pocket and extra pocket. Prebent knees for optimal fit. 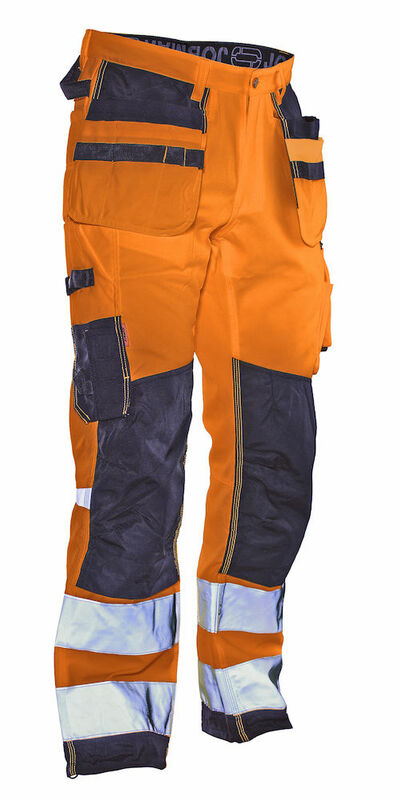 Knee pockets in durable polyamide and adjustable in two positions. Reinforced at ankle-cuff with non-absorbing polyamide. Drawstring at ankle. 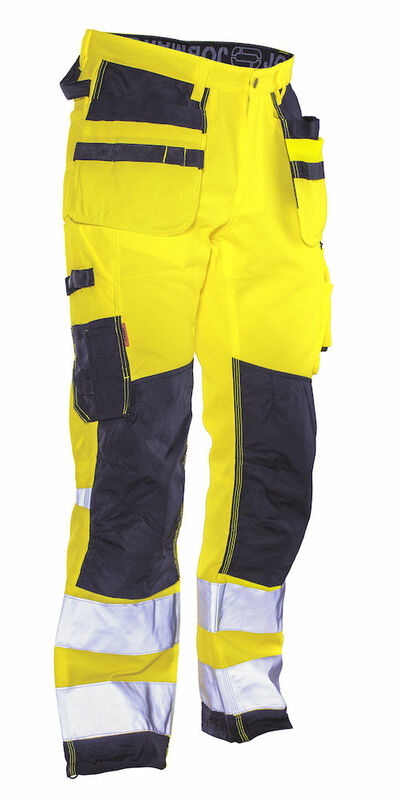 Certified according to EN 14404:2004+A1:2010 Type 2 Level 1 together with Jobman’s kneepads 9943, 9944 and 9945.